 Rafael actively partners with innovative researchers, universities and companies in order to further the development of drug candidates from bench to bedside. Working hand in hand with our Scientific and Medical Advisory Boards, we apply a complex and rigorous evaluation process in order to select the most promising projects for our pipeline. Once a project is accepted, we design a comprehensive drug development plan and assume full responsibility for its advancement and success. Throughout the development process, our team actively involves the inventors, companies and universities as partners in the drug development program. Once our candidate compounds have achieved advanced stages of drug development, we seek out-licensing and other strategic alliances for further development, manufacturing, and launching the drug as a commercial pharmaceutical product. Devimistat (CPI-613®), our first in class clinical lead compound from our proprietary Altered Metabolism Directed (AMD) drug platform, is a prime candidate for out-licensing and co-development. Devimistat has generated impressive results in clinical trials in combination with other therapies. In addition to devimistat, Rafael has a robustly innovative pipeline of drugs at various stages of clinical and pre-clinical development.